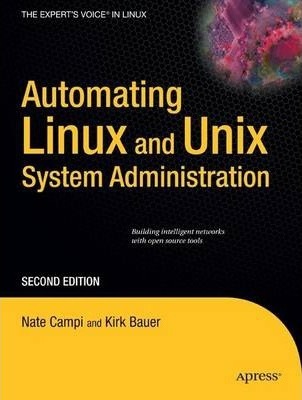 The author focuses solely on how UNIX and Linux system administrators can use well-known tools to automate tasks, even across multiple systems. Nathan Campi is a UNIX and Linux system administrator by trade, working as a UNIX operations manager in San Francisco. His system administration experience is almost entirely with companies with large-scale web operations based on open source software. In his copious free time, he enjoys jogging, watching spaghetti westerns, experimenting with Linux systems, and spending time with his family.